You don’t have to be a chef to enjoy the convenience of stoves! When this cooking appliance breaks down, it will be an annoyance. Call us to help you. 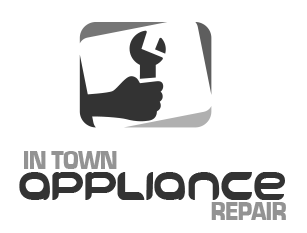 We are trained to fix gas and electric appliances and provide quick stove repair in Gloucester, Ontario. To ensure the service is done correctly, our pros carry replacement parts and numerous tools with them. If the heating elements of your stove are burned out, we will replace them. Our experts can replace any stove component on the spot. So, go ahead and call Appliance Repair Gloucester should you need assistance with your stove. Our stove repair Gloucester experts are at each client’s disposal for fast service. If you are local and have trouble with your home stove, call us. We do our best to respond fast and will provide same day service should there is an urgent problem. Call us if you have problems with your gas stove! Issues related to gas powered appliances can lead to accidents. So, if you sense there is an odor of gas in your kitchen or there is a problem with the gas stove, call us to do the necessary stove repair work! It’s also vital to call us when you need gas stove installation. For safety purposes once more, it’s best to let our pros take care of such tasks. Of course, we are also available to install and repair electric stoves as well. These appliances are complex too. If they are not installed or fixed right, they won’t operate right. We fix and install all types of stoves. Whether you need our help with the range or a counter mounted stove, we have the skills and experience to meet your expectations. Our techs are qualified to do any stove service with accuracy. Need to cook free of stove problems? Want the best tech to cover your Gloucester stove repair needs? Contact our company.